More than 90 miles of roadworks in the south east are being removed from motorways and major roads across the county this weekend, to help bank holiday trips go smoothly. Highways England always removes as many roadworks as possible at busy times, and will complete or lift 177 sets of roadworks for the late August getaway. Completed works include maintenance work on the A23 Pyecombe near Crawley with 2.4 miles of roadworks completed, works on the A23 Brighton, A259 Winchelsea near Hastings, A27 Selmeston near Polegate, A27 Lewes, A27 Tangmere near Chichester, and the M23 junction 8 to 11 near Crawley. 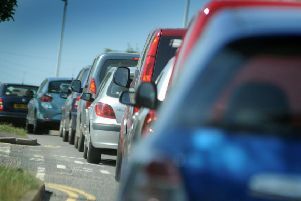 Roadworks being lifted for the three day holiday include the A259 Belle Hill near Bexhill, A27 Adur near Shoreham, M23 junction 10a to 11 near Pease Pottage and the M23 junction 8 to 11 near Crawley. Roadworks on the A27 Kingsham near Chichester will remain with a reduced speed limit of 40mph and narrow lanes. For people travelling further afield on the M27 J5 (near Eastleigh) the Pinch Point Improvements with two miles of roadworks have been completed for August bank holiday. Carriage widening on the M27 J3 near Southampton has also been completed.